Do you need reliable Ramsey parking lot construction services? Call us today at (201) 327-5258 so we can visit your location and assess the situation. We will give you a free estimate for the construction, then provide you with a high quality solution that will last. Find our current online coupons and discounts when you click here now. Parking lots vary in size and scope, but one thing is certain; there will be vehicles parked in them and people will be walking over them to and from your building, complex, shopping mall or school. That means, high priority must be given to the quality of the parking lot construction, and the contractor you choose to carry it out. Are you interested in reading online reviews of our services? Click here to find out what others are saying! When a parking lot is level, there are no cracks, holes or depressions and the color is strong and not faded, it sends a definite message to the people using it. It’s normal to create associations and perceptions about businesses and organizations based on the quality of the parking lot, and a new lot that looks clean and professional with convey that message about the place itself. How Important are the Lines, Anyway? Striping is an important aspect of parking lot construction, as the lines tell everyone where to go and how to park. The lines improve safety and help create an orderly situation for everyone coming into the parking lot. Strong, vibrant lines in the parking lot make your parking lot look professional and reduce the likelihood of fender benders and parking disputes. If you are considering new parking lot construction, or even a full revamp of the current one, parking lot striping must be part of the equation to have the best parking lot possible. When you decide that you want a new parking lot, remember it is a complex job and requires an experienced service provider to make it a successful one. Try to find a local contractor that has created parking lots in your area in the past, so you can get a good look and feel comfortable they are legitimate. It’s common for businesses or property managers to look for the most economical choice, but often they are left with a parking lot that looks bad, isn’t level or has insufficient drainage. 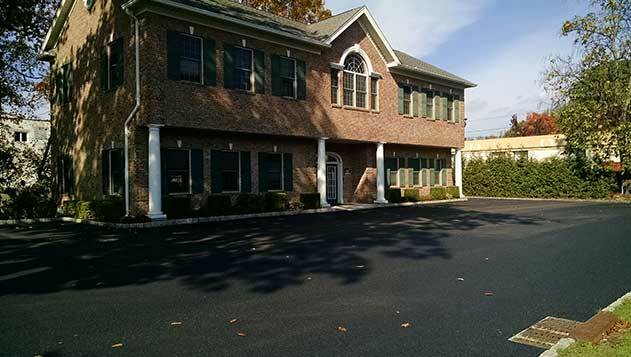 If you need a new parking lot built for any commercial property, call McFarlane Asphalt at (201) 327-5258 in Ramsey, NJ and the surrounding area. We have years’ of experience constructing parking lots of all sizes, and we will be able to provide you with the expert service you need.